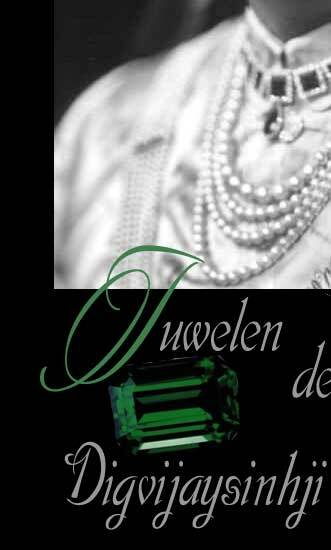 Der grosse Diamant ist die "Queen of Holland" ein Stein von 135,92 carat und neben einem etwas kleineren Diamanten, der wohl grösste geschliffene fehlerloseste Diamant der Welt(GIA = D flawless). Er war Mittelpunkt eines Prunkcolliers des Prinzen, eingerahmt von einer Collection rosa und seltenen farbigen Diamanten die Realisierung des "Traums eines Conniseurs" wie sein Freund Jacques Cartier es formulierte. Der Herrscher, dessen kleines Fürstentum auf Katiawar über eigene Perlenfischeien verfügte, die allerdings keine wertvollen Exemplare, sondern Perlen, die in der traditionellen Hindu-Medizin Verwendung fanden, lieferten, bestellte ein sechsreihiges Perlencollier bei Cartier, besetzt mit einem gravierten Smaragden von 62,93 Karat, der ebenfalls als Turbanschmuck zu tragen war. Sehr stolz war der Potentat auf 8 perfekte und makellose schwarze Perlen die er im eigenen Revier fand und über Jahre sammelte. Am Hof der Haupstadt Jamnagar, so erinnert sich die Tochter des Maharadschas, war ein Schwarzer dazu angestellt, die Perlen auf seiner samtenen Haut zu tragen, um dadurch deren Lüster zu erhalten. The Mahardsha loved jewellery, and would fondle precious stones with the touch of an artist.He envisaged the possession by the State of the finest collection in India. 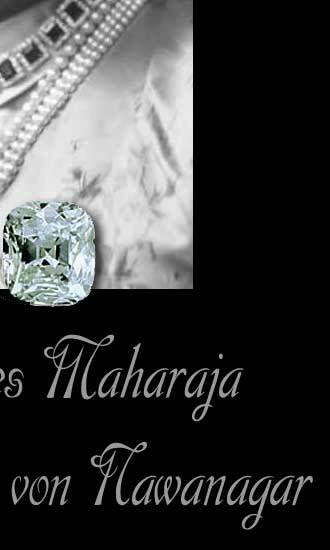 The Maharajah of Nawanagar purchased the Queen of Holland and Cartier set it as the centerpiece of the pendant to the magnificent ceremonial necklace* of the Prince. Jacques Cartier, who assembled the necklace, referred to it as "a really superb realization of a connoisseur's dream." 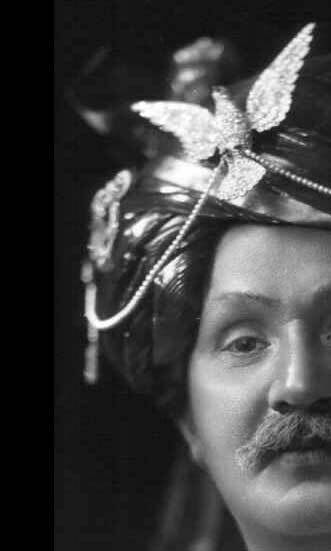 Cartier eventually bought the diamond from the Maharajah's family and sent it to their London branch in 1960. 30 years later, it was sold for a reported $7,000,000. The Queen of Holland is now owned by Robert Mouawad. There are differing opinions concerning the origin of this 135.92-carats cushion-cut diamond. The Dutch firm F. Friedman & Co. cut it into its present shape in 1904. They owned it for several years, exhibiting it at the 1925 Paris Exhibition of Arts and Industry. The Dutch sovereign from whom the stone takes its name was Queen Wilhelmina, who reigned from 1890 to 1948. This suggests the possibility that the Queen of Holland was mined in South Africa, but nothing is known of the diamond's earlier history until it arrived in Amsterdam at a time when numerous South African diamonds were finding their way there. Yet there are experts who think that the Queen of Holland is a typical Golconda stone. 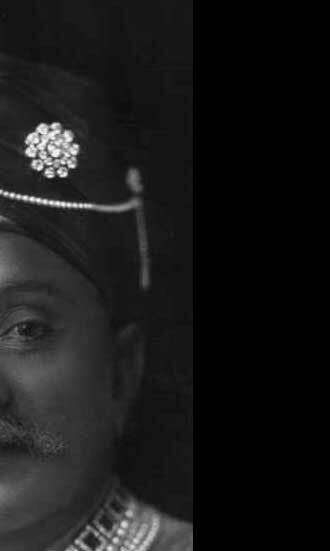 The maharaja of Nawanagar owns also a diamond sarpech or aigrette in form of a flying bird, with hundred of smaller brilliant and diamonds which could be attached to his turban with long pearl "strings" from the end of each(above). There was a necklace of six ropes of pearls, embellished with a pendant featuring an engraved emerald of 62,93 carats, the pendant doubled as yet another turban ornament.